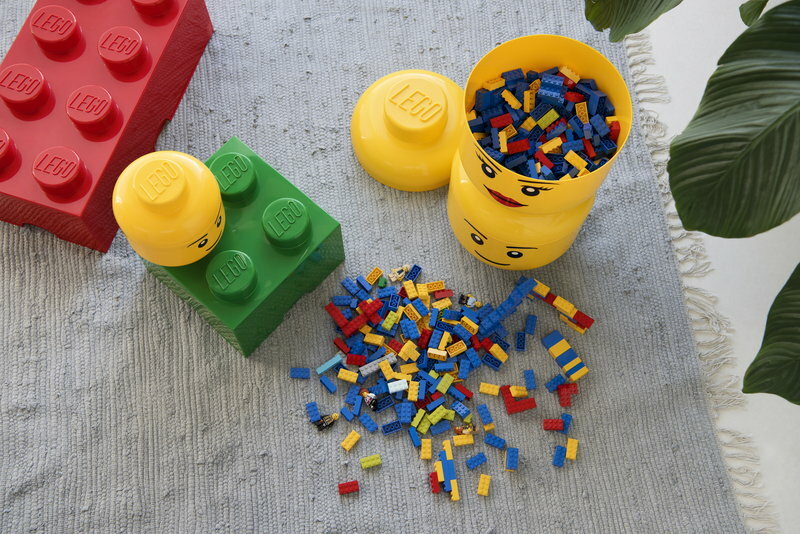 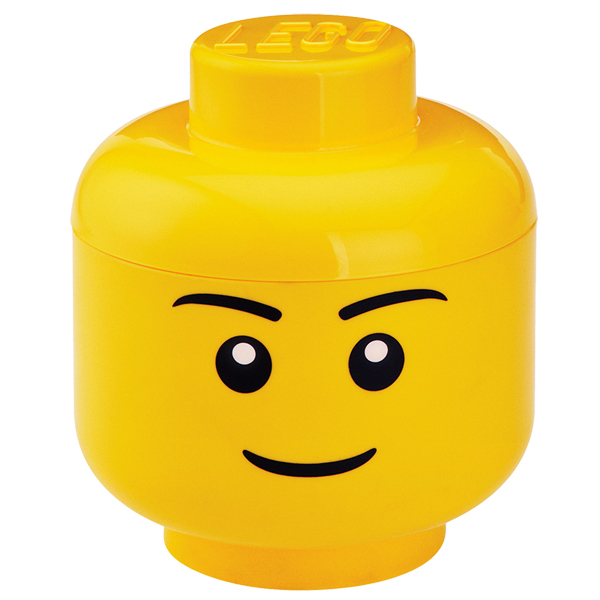 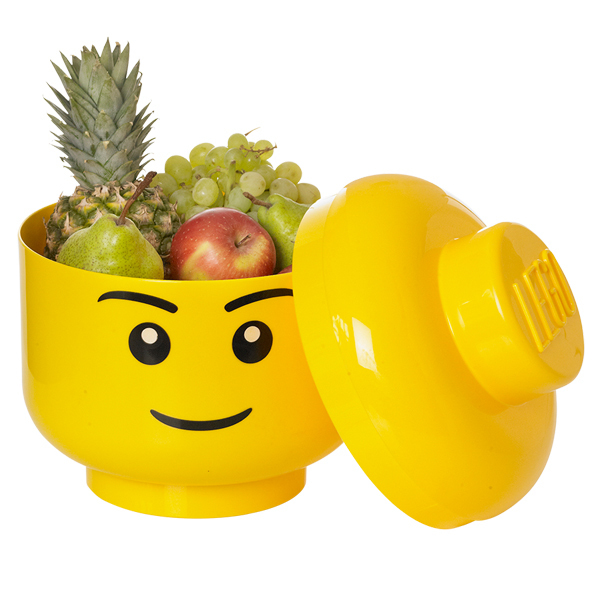 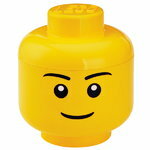 Cheer up the children's room with the joyful Lego Storage Heads containers! 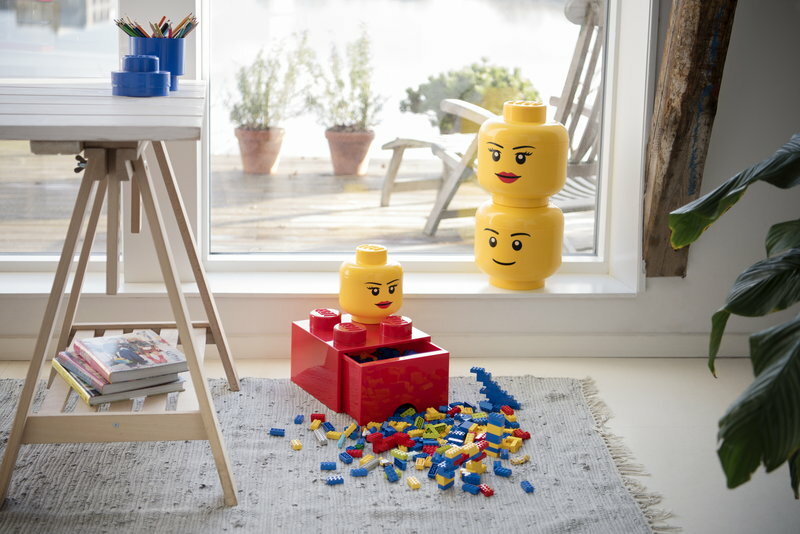 Use the oversized Lego minifigure heads for storage and as decorative elements in the children's room. 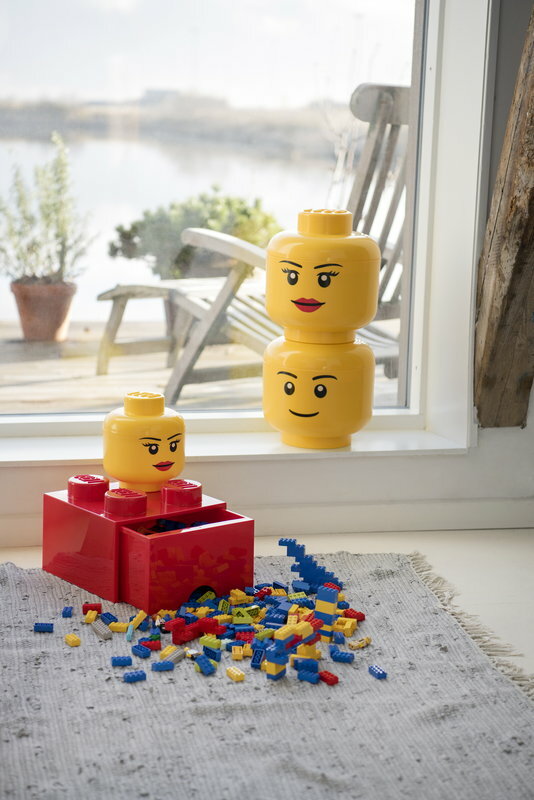 The Lego Storage Heads are available in two different sizes, and the small version stacks on the Lego Storage Brick 4 and 8. 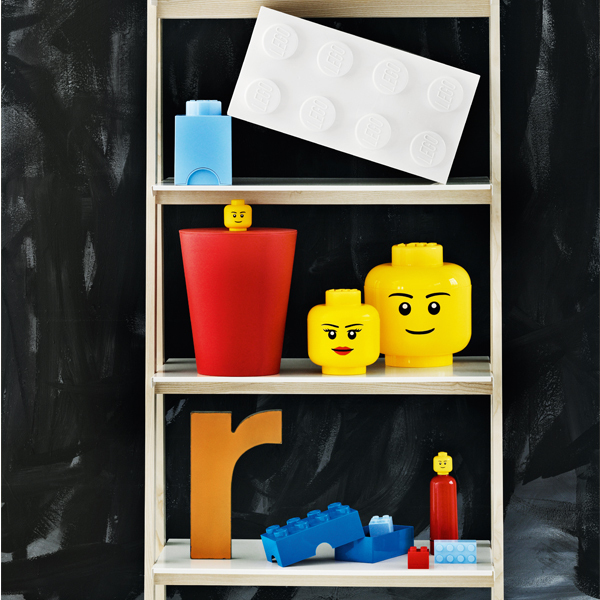 Room Copenhagen's Lego collection is perfect for storing toys and other treasures in the kids' room, and it is designed to fill children's everyday life with bright colours and functional fun.